Home / The blog hog / Don’t swerve. Serve. Maybe it was a difficult conversation. Maybe it was that party where so-and-so would be there. Maybe it was studying for an exam, or the deadline for paying taxes (they’re due, by the way). We’ve all avoided something, including our avoidance to serving to God. And to serve? Yikes. Where’s the gain and glory in that? The more we know Jesus and consider what Easter means, the more we see exactly what kind of servant model God sent us in His Son. We think of Jesus when He had no gain and certainly no glory. As we recount the scenes leading to the cross, the authorities dressed this “King” in a purple robe and mocked Him with jeers, taunts, cruelty and a “crown” of thorns. Then they spit on Him. And then came the beating. How humble Jesus was. How humble we are to be if we follow Him. I go back to the thirty-something mom of three who said, “I really don’t get much out of church. It’s just not for me.” The concept of serving had not yet reached her. I go back to a gifted parent who was fine when the program she was so successfully running in the church was pure gravy. When that program ran into grit, however (oh, how the enemy is close! ), she chose self-preservation over service and sacrifice. I go back to the preteen who said before an after-school program, “But there’s no one here who is my age.” Rather than seeing what she could give to those a few years above and below her, she chose to see only what she could get. When you know Jesus in ongoing intention, study, and devotion with others who also seek to know Him, you know gently, surely and quietly that your service to Him has nothing to do with you and everything to do with Him. When you know Jesus, you know your goal—and your reward—is to be humble like the One you follow. As we put to death our own desires so that Christ can live in us (Galatians 2:20), the life we live can be pressed on every side by troubles, but we are not crushed. We can be perplexed, but are not driven to despair. We can get knocked down, but are not destroyed (2 Corinthians 2:8-10 NLT). Look into Easter. 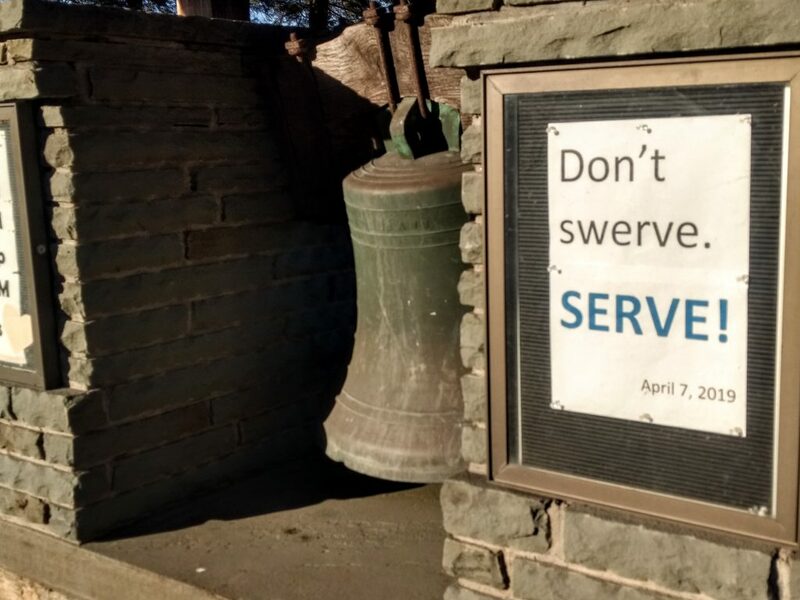 When you do, I believe you won’t swerve away from Jesus. I think you’ll serve Him not from a place of obligation but from a center of joy.